To ask a Pakistani actor to go back to his country when there has allegedly been a terrorist attack on Indian soil by Pakistanis, is both stupid and understandable. The citizens ask for quick retaliation and, as always, people in the world of arts, culture and film are the softest targets. The Maharashtra Navnirman Sena (MNS), sensing the public pulse, cashed in on the anger and gave Pakistani actors and artists a 48-hour ultimatum to leave India. And mind you, a lot of Indians are irate with the presence of the Pakistani artists in India. That does not make them right or wrong, but that is true. On the other hand, Pakistani actor Fawad Khan has a huge fan following among women. Unlike Indian men, Indian women are not that gung-ho about sending the Kapoor & Sons star back home. Are Indian women less patriotic? Nobody knows, nobody is inside their head. The MNS has threatened Karan Johar that the party will halt the release of Ae Dil Hai Mushkil which stars Fawad Khan. If one goes through the comments section of news posts regarding Pakistani actors versus MNS fracas, you will find that it is mostly men who are clamouring for the actor to move out. Actually, Indian men hate Fawad Khan for the same reason they hate Shoaib Malik. How dare this Pakistani man enter the hearts (and homes) of our Indian girls? Well, he did. There is no going back from that. Fawad was destined to become a star in the subcontinent. He did not enter India with ‘I’m Karan Johar’s boy’ plastered on his forehead. He came to India with the hit Pakistani TV show Zindagi Gulzar Hai (ZGH) on Zindagi channel. Suddenly, Indian housewives, tired with the saas-bahu-kavach-daayan nonsense, were watching a sombre, polite TV serial about what appeared to be ‘real people’. And in the middle of it was a very handsome, accessible man who behaved like a normal human being, unlike the ordinary-looking, ordinary male actors one would find in Indian TV shows. Zindagi Gulzar Hai ran for only 25 episodes. By that time, Indian women had found their drug. But their Fawad-fix was not satiated. So Zindagi offered Fawad in measured doses. After ZGH ended, the channel ran the promo of Fawad’s telefilm Behadd on loop, teasing the audience and gauging their response. Then, as Khoobsurat (Fawad’s Bollywood debut) was about to release, the channel started airing the promos of Fawad’s highly popular show Humsafar. So, in a way, Fawad Khan has been in the Indian woman’s heart for a long, long time. Indian women have a lot more at stake, emotionally and sentimentally, in Fawad Khan. Indian men look at this sudden anomaly as a threat. And indeed, his uniqueness and exoticness was furthered propelled by the kind of roles he did in Bollywood. 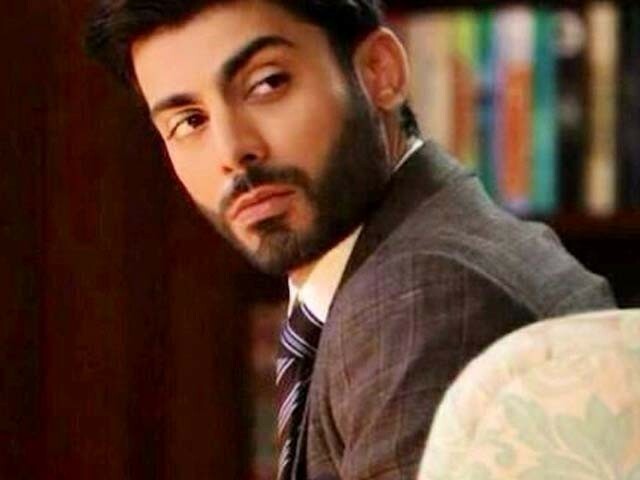 In Khoobsurat, Fawad played a Rajasthani prince, a distant, inaccessible, hard-to-reach and hard-to-get man. In that film, neither did he dance nor did he stalk the heroine. He did not get naked and bare his entire torso. He was dignified, stoic, spartan, the ultimate ‘Complete Man’ Raymond suiting and shirting could get. And, well, Indian girls had found their new crush, so very different from the chhichhoda (cheap) heroes they had been subjected to for years, and Indian moms found their template for the perfect son-in-law. Fawad’s next film Kapoor & Sons had him play a gay man. Again, he got the ‘mature guy’ role as opposed to his co-star Sidharth Malhotra who had to shake a leg to Badshah’s song. Most importantly, his gay character was not an effeminate stereotype. He appeared ‘human’. This ‘humanness’ has been the key to Fawad’s popularity. He is both accessible and inaccessible (he is from across the border, guys). The Indian man cannot understand this. So, either he tries to ignore him. Or hate him. And what better opportunity than a Pak attack for these men to publicly outrage against Fawad? Or, perhaps, there is more to it. It is indeed a fact that Fawad has still not publicly condemned the Uri attacks. This is truly unlike him, as he did express grievance during the November 2015 Paris attacks on Twitter. So did the Pakistani singer-actor Ali Zafar and VJ-turned-actor Mahira Khan who will soon be seen in Shah Rukh Khan’s Raees. Mahira went on to criticise the Orlando club shooting as well. But, somehow, when there has been a terrorist attack in India, the country that has given them stardom, fame, and money beyond what Pakistan could possibly give, they are strangely silent. And this has not gone down well with ‘patriotic Indians’, both the polite kind and the kind to vilify any secular commentator on social media as a ‘Porkistani’ who needs to be deported. In all likelihood, neither Fawad nor Mahira or Ali Zafar will be sent back to Pakistan. Money is more important than religion or nationality in India, and when crores are at stake, power players will ensure that nothing as absurd as Fawad’s expulsion happens. Be that as it may, the question remains: After all this, will Indian men ever warm up to Fawad Khan? Will Indian men ever cosy up to him as they have to, say a Ranveer or a Varun? This post originally appeared on IndiaToday.in. Is this even real news! Does it mean he gives them “sleepless nights”? Khoobsurat was highest grossing Bollywood movie of the year. Fawad Khan has already left India. hahaha..yeh to kamal hi ho gaya..first of all ,this is very immaturely written article.I would have taken this article seriously only when this was a confession supposedly made by an indian woman.Author seems very naive while presenting facts.This is very evident form few of the points from his article.If i were him,i would never have written on behalf of indian women .men r simple.But as per my point of view women specially indian one r very complicated. 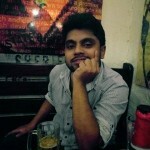 i m pasting one of the quotes written in this article here “. Are Indian women less patriotic? Nobody knows, nobody is inside their head”.see ,he has no clue about whether Indian women r patriotic even.Read again “. Nobody knows, nobody is inside their head”Lol.But he knows for sure that Indian women literally die for fawad khan…great! I have objection with few of the lines of this article.Not sure how it got pass through. “Money is more important than religion or nationality in India” certainly this is not how we r.Author must be speaking for himself.We Indians r highly patriotic .Zee channel head subash chandra didnot think even a once while taking down pakistani serial from zindagi despite having paid 60 crs inr (100cr in pkr) to pak serial producers.Now since Pakistani actors r banned ,his speculation also went wrong. 1)-For those who are ignorant of the fact, more than half of India don’t watch Bollywood (Hindi Movies), Only 2.5 crore tickets were sold of Bajrangi Bhaijaan. India has strong regional film Industries in their Southern Part of India, and in North east and the interiors of India they don’t watch much of Hindi movies or TV channels, Forget about Fawad khan, they even don’t watch Salman Khan movies. So this whole- Fawad khan craze among Indian girls- seems farce, when even more than half of India don’t know about him. Maybe, Writer has taken the emotions of the girls of North India and Mumbai as that of rest of India’s. 2)- To my Pakistani Friends, you need to understand that Bollywood just like any other movie industry runs on Money, in which the success rate is only 10%. If Fawad khan would have sweep of feet of Bollywood,then I am sure he must have had 2 or 3 movies in pipeline as a lead solo star. While none of this is true,the fact of the matter is his debut movie was woman oriented movie, while his Second movie was an ensemble affair, for which he was the 4th or 5th choice, just because No Bollywood actor wanted to play gay on screen, that role fell on his loop ( He should be appreciated for doing that role). This shows his so called stardom in India, also in ADHM, he is having a guest appearance, because the character is of a Muslim boy and all of the characters except that of Ranbir is Muslim in the movie, so to cash in on his popularity in Pakistan, Karan Johar took him. Karan johar just like any other Indian movie producer is ensuring all the successfull ingredients to make his movie successful, both domestic as well as global. 3)- And to those Indians, who think that Zee has shown great patriotism by banning all Pakistani Dramas, fact of the matter was none of them was raking up moolah for Zee. Except for few Pakistani dramas none of them became much popular among Indian TV audience, TRP of Zindagi as compared to Indian Channels is quite low, so he hasn’t done any great service to the Country, no business runs without profit and the same applies to him too as well as to the likes of so called peace lovers like Mahesh Bhatt. sorry but this article is written by an ordinary Indian having a sense of whats going on there in society, no offence but aren’t every actress is crazy about to work with Fawad? Depika, Sonam, Katrina?? May your tribe increase. And may your flocks flourish. You Pakistanis are so handsome that nobody wants to come to your Great Country.